Few people have influenced my career and winemaking philosophy as greatly as Ed Killian. 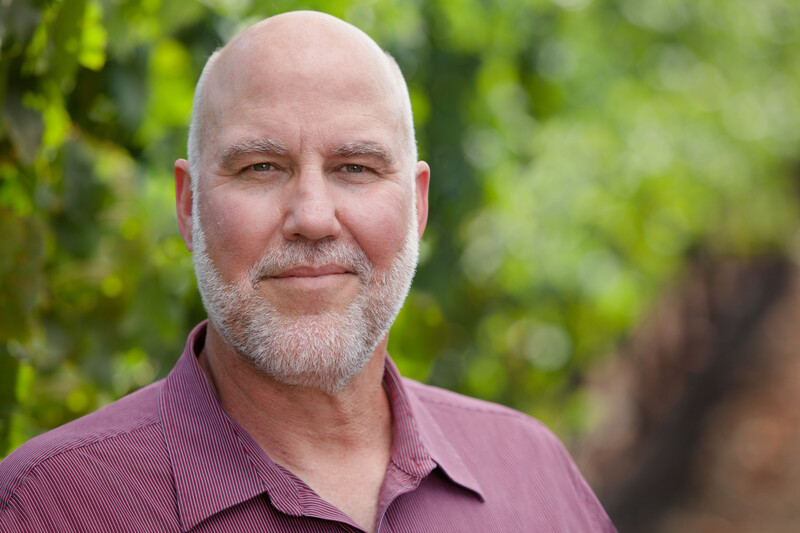 He is one of the unsung heros of California winemaking with an unassuming style and relaxed fun loving nature who year after year manages to craft amazingly beautiful and concentrated wines without ego or guile that can be so frequent in our industry. I had the privilege of working with Ed for three and a half years of my time in California. I say working with because even though I reported to him, he never made me feel that I was anything less than an equal partner in our winemaking for Souverain. He remains to this day, one of my favorite people and I am delighted that he agreed to be interviewed for this story. If you haven’t tried his wines then you should definitely seek them out. We recently caught up and opened one of our wines, the Souverain Winemaker’s Reserve Cabernet Sauvignon 2010 which was spectacular! NC: I remember from working with you that you had originally intended to be a vet. What made you decide to move into winemaking instead of deciding to go to veterinary school? EK: At the time, I though winemaking was an avocation and vet medicine was a real profession. Coincidentally, both were taught at UC Davis, so I applied to both schools the same year. I got into the Food Science dept., but not the vet school (which was much more competitive) and rest is history. NC: Did you have a person or people in your career you felt were instrumental in inspiring your personal winemaking style? EK: Since I jumped into a small winery as winemaker after only 3 years of lab work, I didn’t really have a close mentor. But we did have a fairly close-knit group of winemakers in the area that met and tasted quite frequently and shared ideas, so I guess that’s where I formulated most of the ideas and techniques I like today. I was also quite experimental by nature, so always had various trials going every year to sort out different ideas. NC: You have become known for making fantastic Chardonnay in your career. Why did you focus on this variety and what do you feel sets your style apart from other Chardonnays on the market? EK: I’ve always liked the variety’s ability to morph and react to both growing conditions and winemaking inputs. It’s sort of a “winemaker’s wine”. I loved white Burgundies and their combination of rich, honeyed fruit often complexed by notes of oatmeal and smoke. So most of my experimental efforts centered on yeast strains, ML inoculation techniques, skin contact and solids manipulation. Today I promote slower, slightly stressed barrel ferments with moderate lees retention that generated a more richly endowed spectrum of tropical fruit, integrated toast, creamy mouth but with low diacetyl impact from co-inoculation with ML bacteria. NC: You are now building your own brand, Killian, in addition to your work on Souverain which was recently acquired by Gallo. How difficult is it for you to balance your time between the two? EK: Fortunately right now the Killian Chardonnay is quite small at around 300 cases, and is made at a local winery which takes care of all the work based on my protocols. But the big help is the day to day business aspects are being watched over by my wife Jean so I can focus on the day job. So it’s working so far. There will come a time when some tough choices will have to be made. NC: What are your biggest challenges as a small brand? Do you feel that you have an easier time or a harder time since you have been the face of Souverain for so many years? 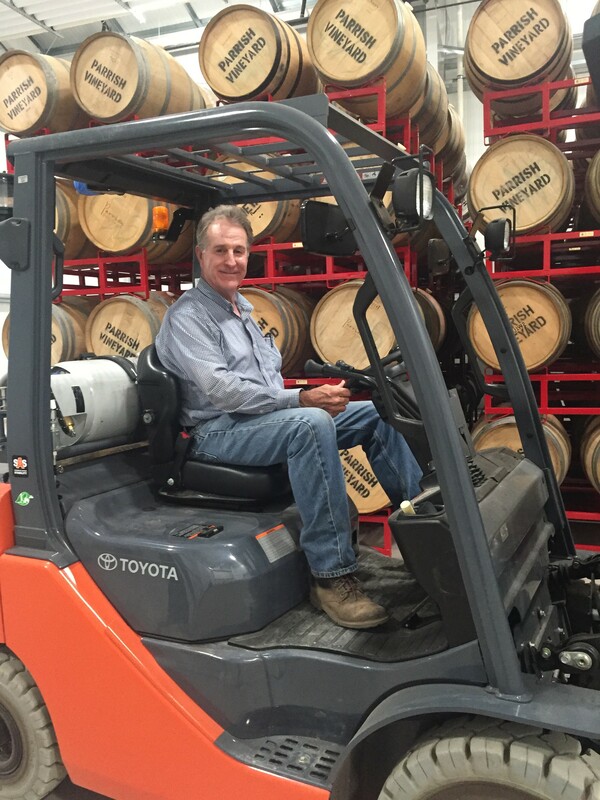 EK: Actually, having been in the industry for over 30 years has made it easier because of the many relationships I have in the market, and having been a national brand winemaker for 24 years lends some credibility so when I approach a market, I’m not just the next hobbyist that wanted to go pro. NC: I know you have Grenache planted in your yard. Do you see yourself expanding into Rhone varieties for the Killian label? EK: I would love that! But right now I only have 103 vines that are more than enough when it comes to personally pruning and picking them. We just harvested the 2015 vintage of what we fondly call “Black Dog Red” after our late Kelpie. It makes one barrel of wine, so to go commercial, somebody other than me is going to have to plant the rest of the hill behind my house! NC: Is there a vintage in your career that you would like to experience again and why? EK: That’s a hard question, but perhaps my first vintage making wine at Lambert Bridge Winery. The harvest was early and fine, but the memorable part was how much fun it was to actually be making commercial wine with just me and two other guys. We were so passionate about it and into every aspect. It was almost like making backyard wine with friends – we just had a fantastic time! NC: What was one of the most memorable winemaking mistakes you ever made that you still think about to this day? EK: Probably deciding that a 24-48 hr. skin contact on Chardonnay was a good idea. Made for pretty heavy handed wines up front that died quickly over time. Most of the many other mistakes were things that resulted in difficulties for me (like being covered in grape must) rather than having an impact on wine quality. NC: Can you describe your philosophy on winemaking in haiku? NC: If you could share only one or two things with younger winemakers, what would be the most valuable piece of knowledge or experience that you pass on? EK: Pay most of your attention to the big drivers of quality before you bury yourself in the weeds of minutia. Then be decisive. NC: If you had to pick a favorite wine region (outside of the one you are in of course) where in the world would it be? EK: Most likely somewhere in the south of France. I love the flavorful blends of Grenache, Syrah, Mourvedre, Cinsault, etc., etc. NC: Where can my readers find your Killian’s Chardonnay? EK: National distribution is small and largely centered in Colorado and So Cal. The best location is to tap the website at www.killianwines.com. This week is the inagural launch of my new monthly column, Winemaker 2 Winemaker. There are so many times when I get together with other winemakers and we have great discussions. I always learn something fun and exciting and I wanted to share those experiences with my readers. 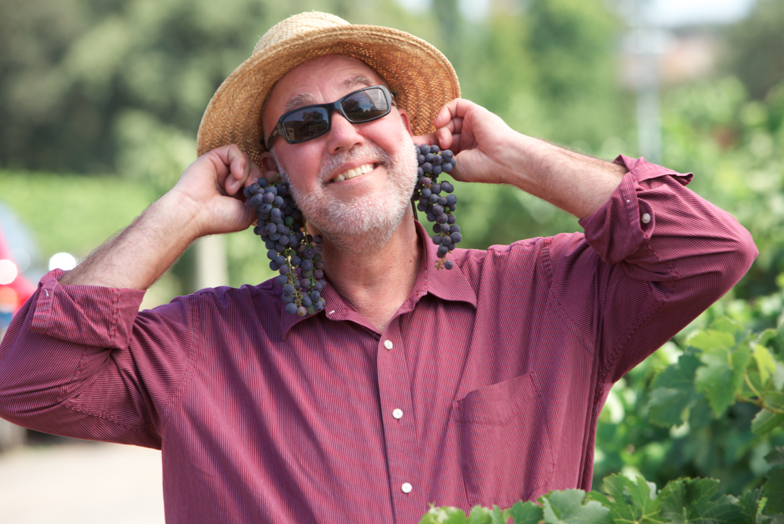 This month’s winemaker is Joel Peterson, founder of Ravenswood Winery in Sonoma, and all around gregarious personality. NC: I know from our earlier conversations that you have been around wine all your life. How do you think this shaped your career? JP: I think being around wine for the vast majority of my life has definitely shaped how I think about wine and certainly how I think about my career. Ultimately, I learned the ethic of fine wine very early. Many of the things that young winemakers struggle to understand or learn by trial and error I intuitively knew because of my youthful environment. I had an opportunity to taste wines from Europe that were considered legendary from vintages such as 1911, 1929, 1945, 1947, 1949 et al. These were in relative abundance and at ridiculously low prices. In my early twenties I had a number wine obsessed peers with whom I shared expansive wine dinners and blind tastings. Looking back on some of those bacchanals of great wines brings me near to blushing. Frequently these verged on the profligate. It was also a fairly competitive environment, and a whole lot of fun. The majority of the wines of that era are, sadly, unavailable or out of the financial reach of most young winemakers these days. These wines certainly informed my perception of what great wine could be, but it also taught me that every year is a new vintage and ultimately the fate of a winemaker and the wines from any given year is determined by many elements out of a winemaker’s control. Humility and patience came later with experience. NC: The Ravenswood Motto is “No Wimpy Wines”. What was it that inspired that motto for you? JP: The motto “no wimpy wines” was inspired by white Zinfandel, the ultimate wimpy wine. I got so tired of people asking me why my Zinfandel was not pink that by necessity I had to realign peoples’ expectations. No Wimpy Wines = nothing pink, sweet or wimpy. That slogan became something of a rallying cry for Ravenswood. Marketers have occasionally tried to reinterpret it as super powerful and Harley-esque, but it is really about a wine being true to the best expression of the core identity of grape and place. As a corollary think Nureyev and Ballet. No wimpy Ballet Dancer. Or think Einstein, no wimpy physicist. Of course you could also think powerful as in Thor, No wimpy Norse God. NC: When you were starting down the path of winemaking was there a single person who you felt was an important inspiration for your style or did you pull from multiple sources? JP: I certainly relied on multiple sources as inspiration for my style. I derived much of how I thought about wine from my own tasting experience. I also read a number of old winemaking texts from the 1800’s to try to understand wine making it its simplest form before there were things like refrigeration, cultured yeast and stainless steel. It is also necessary here to list my mentor, Joe Swan. He contributed significantly to my understanding of process and the meticulous attentiveness required to make great wine. There was also Andre Tchelistcheff, who provided good counsel, criticism and grounding as well as a remarkable demonstration of chain smoking mixed with tasting acuity that I could never have hoped to emulate. NC: Is there a vintage in your career that you would like to experience again? JP: Sure, the 1976 vintage. That means that I would get to live my wine career all over again, right? Aside from that, I have no favorites. Each one has had its own quirks, challenges and successes. It is the variation and possibilities that keep wine making interesting. Beyond that, I still haven’t gotten a single vintage quite right, so I might as well keep at it. Perfection seems so near and yet so far away. My Hippie self just keeps telling me that it is the journey, not the destination that is important. NC: Do you feel wine is an art or a science and why? JP: Art and science are not mutually exclusive. Science brings an understanding of your materials and process. Art is the personal statement that you bring to the assembly. With winemaking you are much better off if you combine both and try not to parse them. JP: The 1982 Sonoma County Cabernet. During bottling one of the vacuum pumps somehow leaked machine oil into the filler bowl. We bottled 300 cases of wine with a 1/8 layer of oil in every bottle before I caught the problem. It is a little disturbing to see an oil slick in my glass. It would have been less tragic numerically if I hadn’t gotten side tracked and had been more attentive to my QC. That one really hurt because 300 cases was a large percentage of my production and the 82 Cab was the best Bordeaux style wine I had made up to that point in my young career. JP: Taste as many interesting wines as you can. The rule of 10,000 applies equally to winemakers as it does to musicians. The only difference being that we use our organoleptic sense and they use the auditory/proprioceptive senses. Revere tradition and make intelligent diversions that please you. NC: Are you working on any exciting projects now that you would like to share? JP: Old vineyards have always been an obsession. I am currently working with the Historic Vineyard Society to designate famous historic vineyards with old vines as “California Historic Landmarks”. Also, the Heritage Vineyard project that I have been working on for many years with ZAP and UCD will be releasing four named Zinfandel selections from the Heritage Vineyard in Oakville that are free from viruses and have multiple years of viticulture metrics associated with them. We hope that this material from 100+ year old vines will form the basis for the next generation of 100+ year old vines. NC: Thanks for your answers Joel!